These days, it’s not all that uncommon to run into somebody who’s streaming and commentating while you’re playing a multiplayer game. If they’re not A Tool Of The Actual Devil, they might mute their mic. But in a team-based game you can’t always afford to do that. 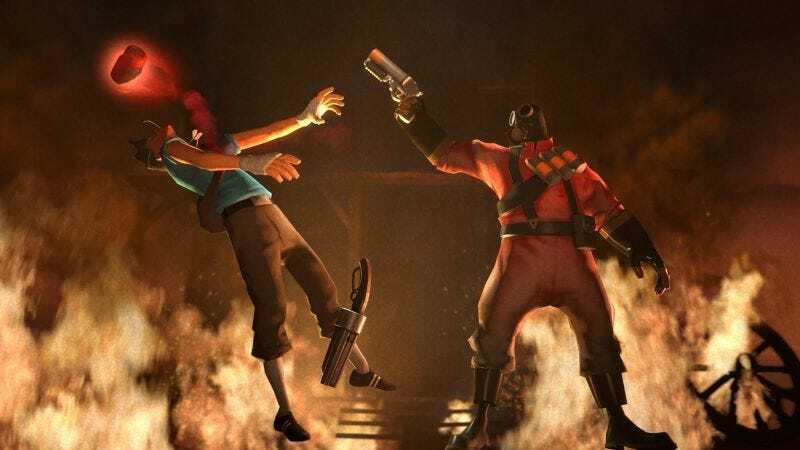 Dapper Dog managed to put together a Team Fortress 2 match composed entirely of streamers and video-makers. The short version? Imagine, if you will a porcupine, only its quills are ice picks and cheese graters, and you’re grinding said lonely abomination against your ears. I feel like this was done partially as a joke, but still. There’s your glimpse of hell for the day.